Johannesburg - Coca-Cola South Africa will discontinue producing cans with names on Coke cans. 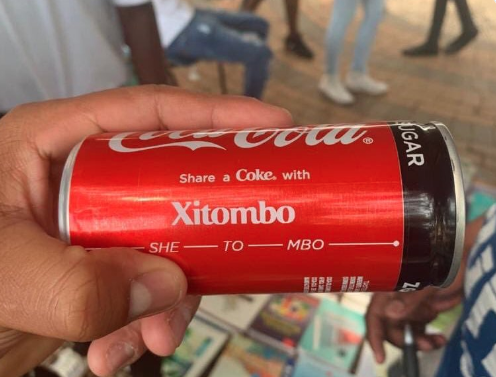 This is after a single can with the XiTsonga word “Xitombo” – which means vag_ina – went viral on Twitter last week. Coke said it is ending the “Share-A-Coke” promotion events after this ‘punani’ can incident. The company came under serious fire and there were massive calls from social media for the Company to correct its mistake. “The main element of the campaign was to place approximately 700 of South Africa’s most popular names on Coca-Cola cans and bottles, which were sold in stores,” Coke said. “These names were identified in partnership with the Department of Home Affairs and Stats SA. “The names spread across the 11 official languages and were sent to two professional linguists for phonetic treatment, reviewed by various internal approval teams and finally printed, distributed and sold in the market. “As of Wednesday 6th February, we have discontinued both the consumer-led and digital elements of the campaign,” Coca-Cola said.